I recently had the opportunity to test the Graco Evo Mini. On first impressions I did not think there was anything special to the Graco Evo Mini, it looked like any ordinary 3 wheeled stroller. Then I picked the folded Graco Evo Mini up, and could not believe how light it was. I picked it up one handed and walked with ease out the house to the car whilst managing the two girls. 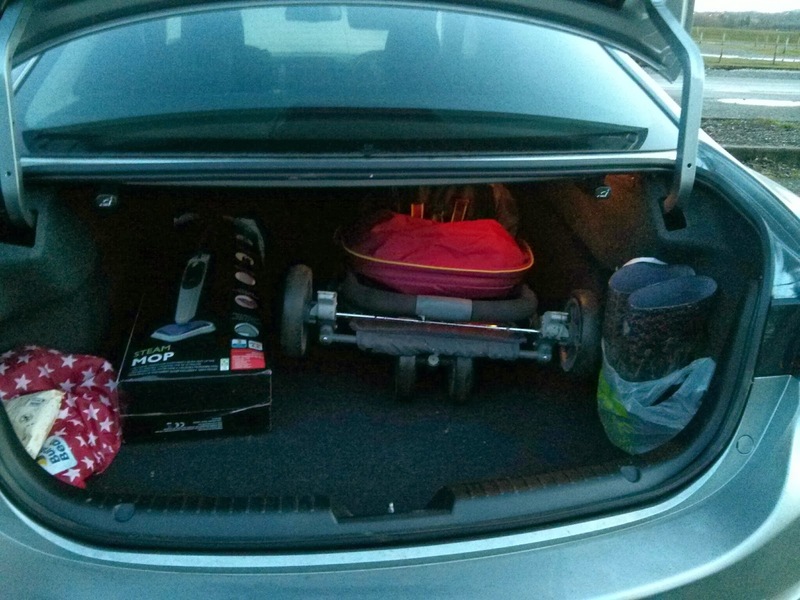 Once I had the Graco in the boot I saw how small the evo mini actually was folded and realised that this would make a great pushchair for those living in flats, who have to walk up stairs, or even as an every day light weight pushchair. The Graco Evo mini can even be folded one handed. 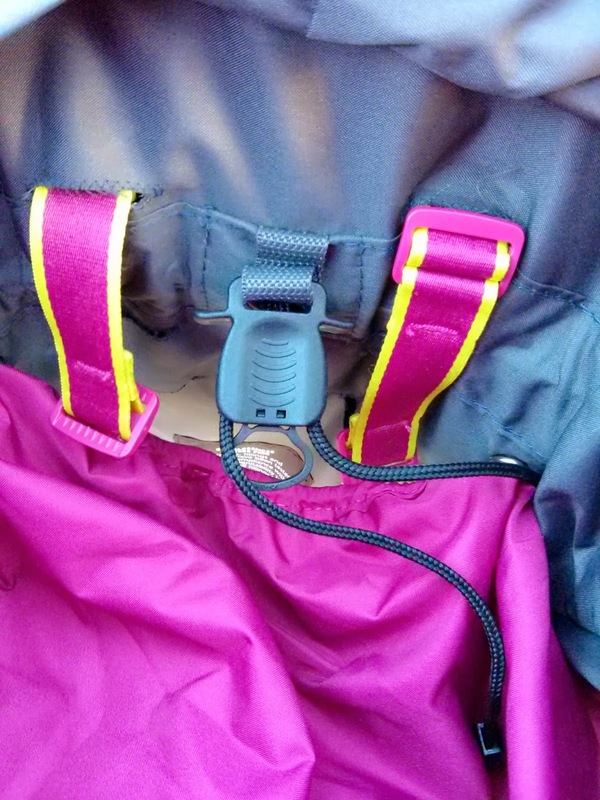 There is a simple two button system on the handle, which allows the Graco to z fold. Once folded its worth noting to watch the position of the single front wheel, as moving it round can make the Evo mini fold even smaller, as can re adjusting the seat position. To unfold simply move the side holding bar and the Evo mini unfolds, and again this can be done one handed. I took the girls and the dog for a walk using the Evo mini. I did notice that on bumpy surfaces there was a slight rattle, but I figured that I could live with this due to how easy the Evo mini is to push. I could hold my daughters hand, the other in the seat and walk the dog, whilst pushing the Evo mini one handed. The handle bar is fixed but for me, I'm 162cm tall, was at a great height. 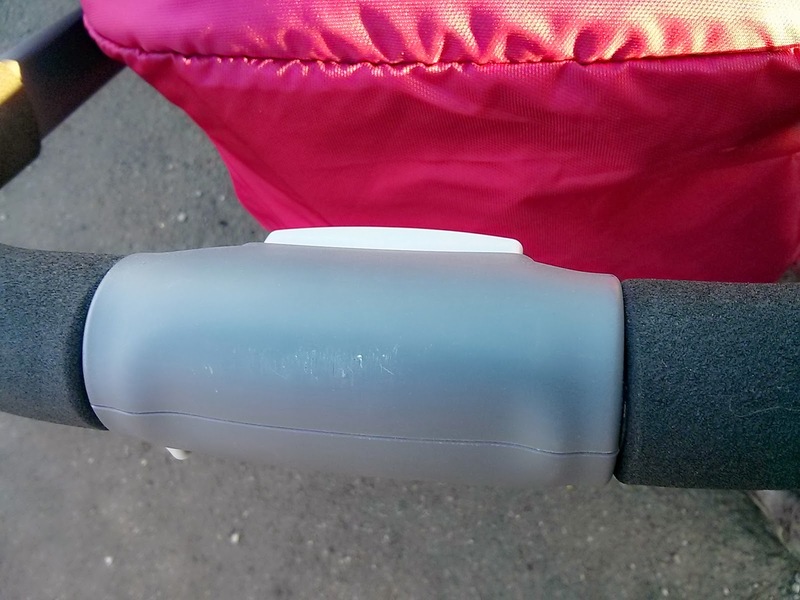 The handle bar is padded and comfy to hold. 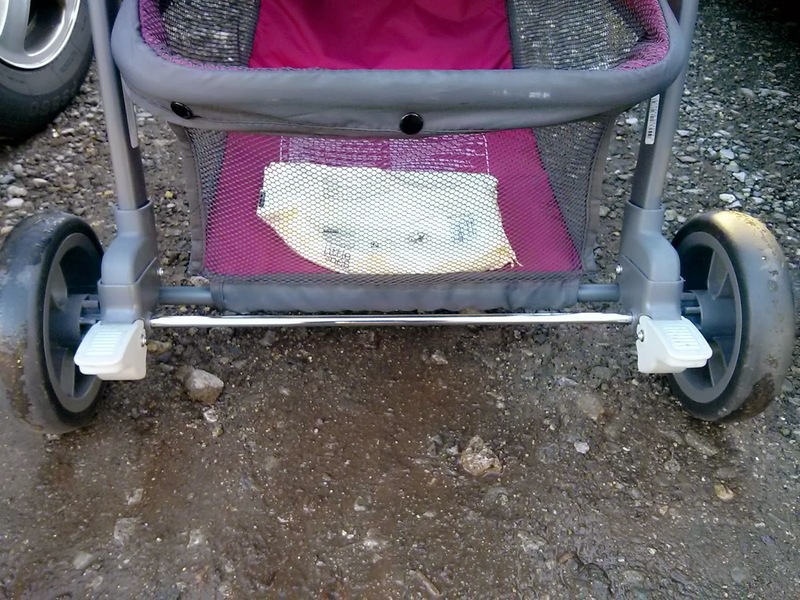 The Graco felt very sturdy and was very responsive which was great when pushing one handed. As the front wheel is lockable the Graco Evo mini can also be pushed over a variety of terrains. I can imagine the Graco Evo mini to be perfect for shopping trips out, as the shopping basket is very easily accessible, even when the seat is flat, but is also of a very generous size. 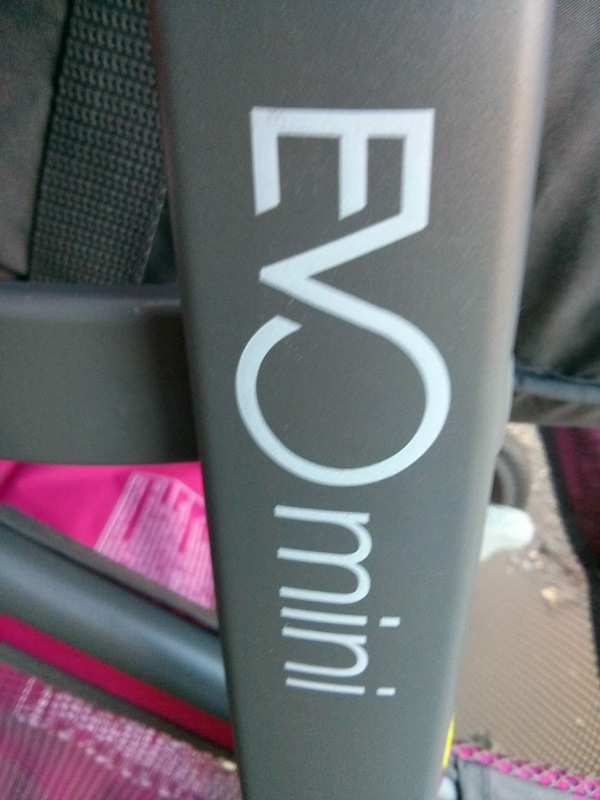 As the evo mini is lightweight I can imagine it being easy to get on and off public transport, although I have not tried this. 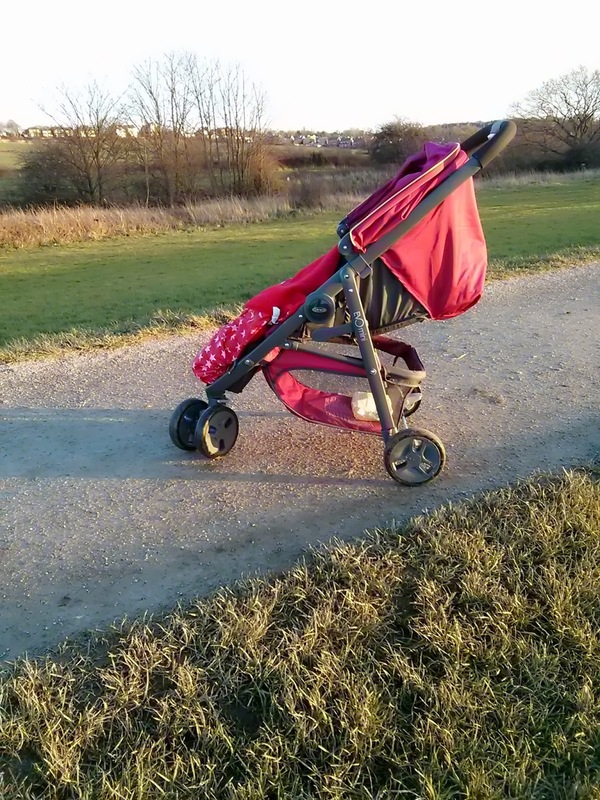 It was quite wet and windy on our walk but I did notice that my daughter was very protected from the elements, as the seat unit and hood seem to be a complete unit, rather than two separate items. The seat was easy to recline and does lie flat, so is suitable from birth. My daughter had a good nap in the Evo mini. The seat also features a padded 5 point safety harness. The hood on the Evo mini also seems to be able to double extend which would provide extra shade if needed. The one thing for me that did let the Evo mini down slightly, was the brakes. They are rather small and I did at time find it difficult to access them. Once I became used to where they were I did look less frequently for them and I imagine should i be using the Graco Evo mini more long term, this would not be an issue. Overall I am impressed with the Graco Evo mini. 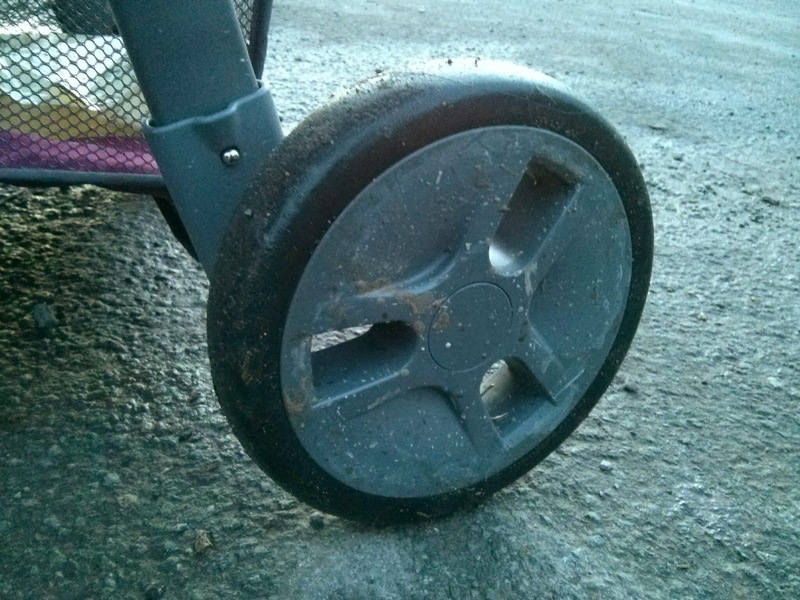 I could not believe how light weight and easy it was to push, yet remained feeling stable and sturdy. I had no issues folding or unfolding and could even do this whilst holding my daughter. 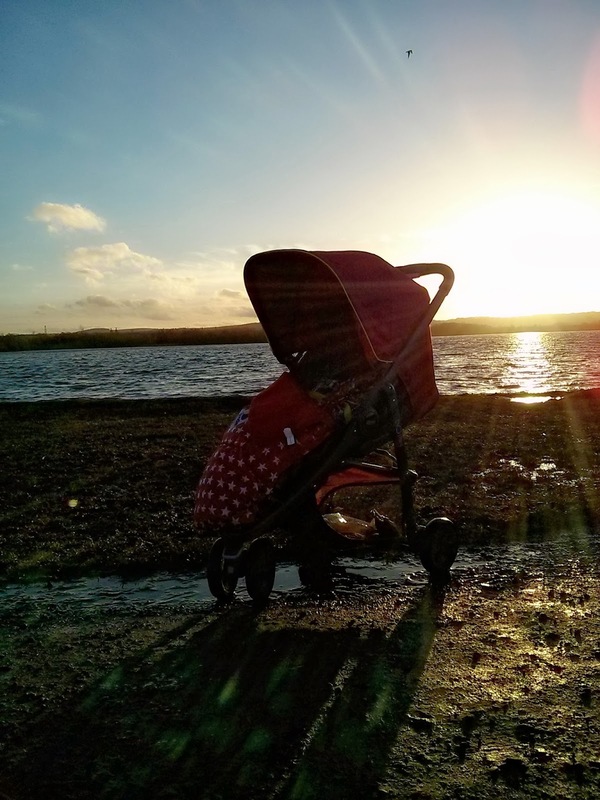 Featuring one of the largest shopping baskets I think I've ever seen, the Graco Evo mini really is a great choice, light weight stroller. I was not asked to write this review, I have not received any financial payment or product to write this review. All words are my own.